Join us for our second showing as part of Surveillance Awareness Month. This brilliant British television series is more topical than ever. And we'll feature live surveillance of locations and petty authoritarians around town. 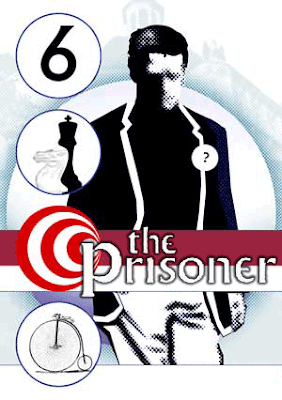 "The Prisoner," one of the most remarkable and challenging science fiction series of all time, follows "No. 6," a former government operative sent into a seemingly idyllic but twisted prison known as "The Village," where he struggles to retain his identity in the face of sophisticated and relentless attempts by the powers-that-be (known as "No. 2") to extract his secrets. A dizzyingly surreal experience filled with disempowerment and panoptic surveillance. With live surveillance of locations around town. PLUS live surveillance, an intermission, challenging ideas of public space, an enchanting urban wasteland location, great company, and a guaranteed good time! URBAN WASTELAND LOCATION: S on Hwy 17 to Hwy 1, Hwy 1 north to Mission St, L on Swift Street, the site is on a wall near the rail road tracks right behind Kelly's Bakery and Bay Federal Credit Union, also accessible from Fair ave.